11 year old Jefferey Lamar Mathis (4'8", 71lbs) lived at 471 East Ontario in the West End neighborhood with his mother, Willie Mae Mathis, brothers Ronald (22), Reginald, Frederick, another older brother, and sisters, Valerie and Wanda. 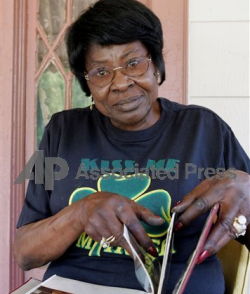 Willie Mae had worked at the Peachtree Center as a maid and as a tape winder at a microfilm company. Her father was a truck driver. Jefferey's father, William "Pappy" Mathis, worked in a cemetery burial office as a watchman and was murdered there in a 1974 robbery. He had seven children. Jefferey attended Joel Chandler Harris Elementary and sometimes carried groceries for customers at Kroger's on Cascade Road. 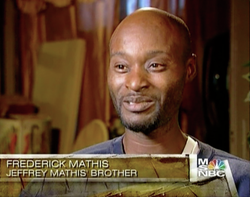 Jefferey Mathis was last seen leaving to the Star Service Station on Gordon to buy cigarettes (or a loaf of bread?). He was wearing gray jogging pants, brown shoes, and a white and green shirt. The barber, W. A. Williams, on the corner of Gordon & East Ontario saw Mathis knock on his window. Months later a girl said she saw him get into a blue car with a light skinned man and a dark skinned man on East Ontario, next to a silver fireplug near Anderson's Produce. 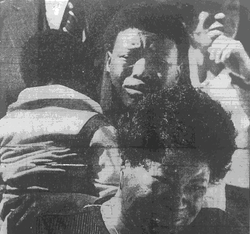 After Jefferey's death, then later the drowning of Willie Mae's nephew Garrick in the pool at Mozley Park, Homer Williams and James "Jim" Comento came over to her home to talk about getting a permit to use a police scanner in their vehicle. The body of Jeffrey Mathis was found in a "briar-covered patch of woodlands" near Suber & Cascade (Plummer) Road, near Campbellton Rd, by FBI agents with trained dogs. Some theorized this may actually be the body of Darron Glass. The state did not attribute Mathis' murder to Wayne Williams. The funeral was held Saturday, 21 February 1981 at the Westhills Presbyterian Church on Gordon Rd., SW. Remains were held at the Haugabrooks Funeral Home.